If you have been in a car accident, you need to get a full medical evaluation. Unfortunately, some people choose not to seek the help of a doctor or an emergency room department following a car accident in Hollywood or South Florida because they mistakenly believe that they have not been injured. This can be a life-threatening mistake. Even if you have no immediate symptoms, some serious medical issues may not have any obvious symptoms right away. 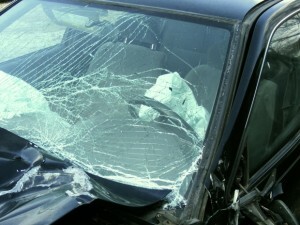 For example, head injuries are one of the most common types of injuries sustained in traffic accidents. If you hit your head on the steering wheel or even on the back of your head rest, your brain can bounce against the hard surface of the skull, possibly causing bruising and bleeding. In some patients, it can take hours for symptoms to develop, even with a severe head injury. By this point, it may be too late to help the patient get the treatment they need to save their life. Getting prompt treatment in these circumstances is important not only in saving a patient’s life but also in improving outcomes. A patient with a serious and life-threatening head injury is more likely to survive and more likely to recover more cognitive function and mobility if they get prompt, proper treatment. Even non-life-threatening injuries sometimes require very prompt attention. For example, some chronic back problems may not develop symptoms for hours, days, or even weeks after an initial car accident. However, you may have a herniated disc that only twinges little bit and think you can walk away from the car accident. In fact, you may need extensive medical care in order to recover mobility and to manage and treat the pain. Soft tissue injuries may also take some time before symptoms become president. Whiplash is a serious and potentially debilitating injury that is quite common with roadway accidents. Unfortunately, some insurance companies will downplay the effects of whiplash or other injury, or will even claim that the injury was not caused by the car accident. Seeking prompt help can ensure that doctors immobilize your neck to prevent the pain from getting worse and can start treatment right away, improving your chances of full recovery. Seeking medical help right away also helps establish a clear link between the car accident and the injury, so that you can make a strong claim for compensation. If you have been injured in a car accident or have been in a severe accident and don’t have symptoms, it’s still important to consult with a medical professional. A thorough evaluation can help determine whether you have suffered a concussion, head injury, or other serious injury that needs prompt attention. In addition to contacting a medical professional, you may also want to consult with a legal professional soon after your accident. Speaking with a Hollywood personal injury attorney ensures that your legal concerns and insurance concerns are addressed and that your interests are protected. Flaxman Law Group is a law firm with paralegals, researchers, attorneys, and other legal professionals. We work together as a dedicated team to help protect our clients’ rights. If you have been injured, put the more than 60 years of combined legal experience we have to work on your case. Contact us today for a free, no obligation case analysis.